If you know what you want, I'll get it for you. If you don't know what you want, I'll do it for you. Todd Rundgren. Few record producers possess the musical facility to back up such a bold promise, but in over forty-plus years behind the glass, Todd Rundgren has willed himself into becoming a not only a rock guitar virtuoso, an accomplished lead vocalist, and a serviceable drummer, vocal arranger and keyboard player, but also a master of perhaps his greatest instrument of all, the recording studio. Throughout his career, Rundgren has ping-ponged between the worlds of producer and recording artist with varying degrees of critical and commercial success. After learning his craft as a songwriter and arranger, with Nazz, Rundgren gained attention for engineering recordings by The Band. His reputation was cemented by a string of noteworthy productions beginning in 1971 with Sparks, and continuing with classic albums for Grand Funk, The New York Dolls, Badfinger, Hall and Oates, Meat Loaf, Patti Smith Group, Psychedelic Furs and XTC. All of this alongside his own solo albums - such as, "Something/Anything", "A Wizard A True Star" and "Hermit Of Mink Hollow" - on which he played and sang virtually everything, and a series of albums by his band, Utopia. 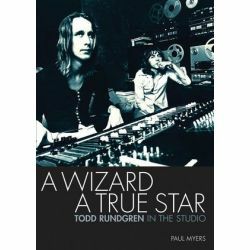 Researched and written with the participation and cooperation of Rundgren himself, "Todd Rundgren: Sounds Of The Studio" is a fascinating and authoritative trip through the land of flickering red lights inhabited by a studio wizard - and true star - who has rarely enjoyed a proper victory lap along the many trails that he has blazed. 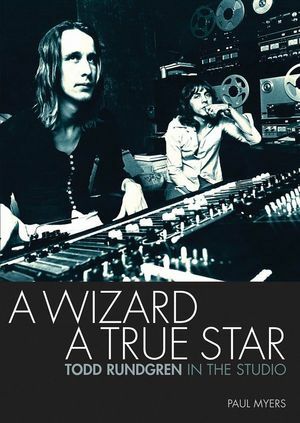 It draws upon exclusive new interviews with Robbie Robertson, Patti Smith, XTC, Sparks, Daryl Hall and John Oates, Meat Loaf, Jim Steinman, Cheap Trick, Grand Funk, The Psychedelic Furs, The Tubes, Steve Hillage, all members of Rundgren's legendary band, Utopia, and many other key Rundgren associates.